Coming to the end of your University or College term the last thing you want to worry about is where you’re going to store your stuff. Whether you just need storage over the holiday period or for longer, over a gap year for example Swindon Storage know how to make self storage easy. We’re also superb value for money! 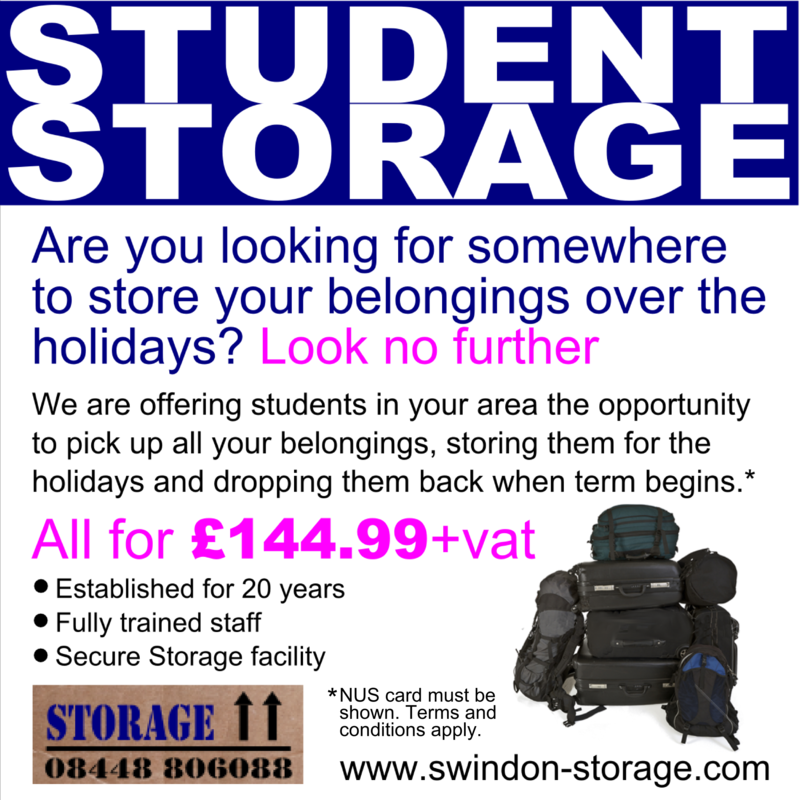 We are the experts for all your student storage needs. If you prefer to have regular access during term times or other times this is not a problem. Friendly, professional advice for free!